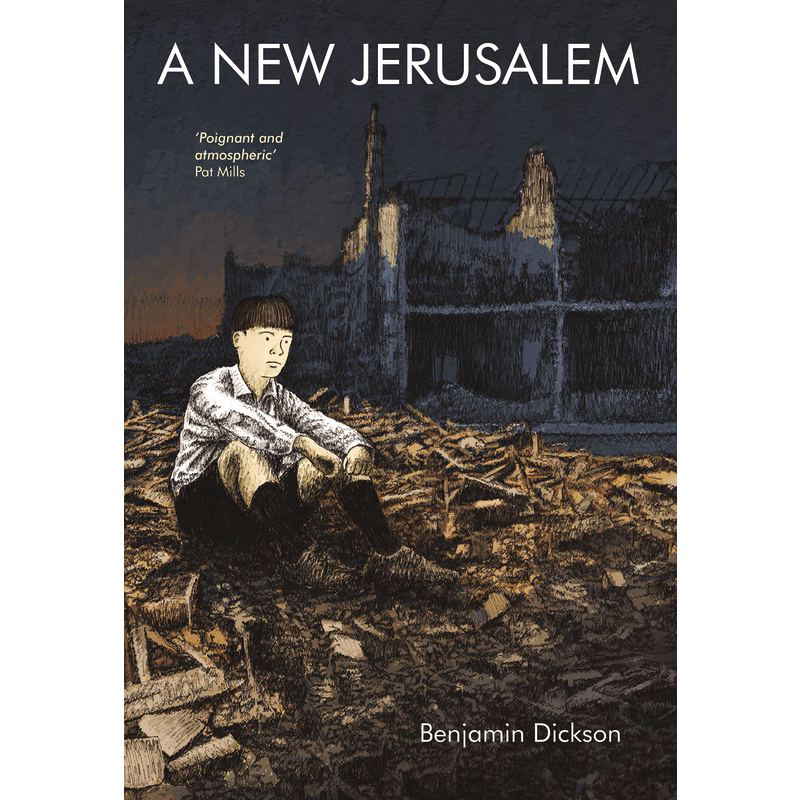 A New Jerusalem by Benjiman Dickson (PB) - New Internationalist ethical shop. This is a wholesale shop for UK businesses. We also have retail shops. We follow an ethical buying policy for all products including fair trade items and materials from sustainable sources. A sensitively-observed graphic novel about trauma and family life in the aftermath of the Second World War. Paperback. Language: English. 152 pages. 24cm x 16.5cm. This is a beautifully crafted portrayal of PTSD and the consequences it can have on everyone around the person affected. Eleven-year-old Ralph lives with his mother, plays in bombed-out buildings and dreams of the day his father will come home and tell him of all his heroic battles. But when his father actually does come back, he is far from what Ralph expected: his father is sullen, withdrawn and refuses to discuss the war at all. Susceptible to fits of crying and uncontrollable rages, his behaviour starts to directly impact Ralph and his mother, and the community around them. This is a beautifully observed and sensitive portrayal of post traumatic stress disorder (PTSD) against the backdrop of dramatic post-war politics. ABOUT THE AUTHOR/ILLUSTRATOR Benjamin Dickson is a writer, artist and lecturer. Fight the Power! (with Sean Michael Wilson et al) was published by New Internationalist. Many of his graphic short stories have been published and he has also co-produced several freely available graphic novels on the subject of climate change. He lives and works in Bristol.